Tim Pilleri and Lance Reenstierna host a Facebook Live show to connect with listeners for episode 100. They chat with Maggie Freleng, an owner of the A-frame, and more old friend! Come see us in New Orleans at Crime Con 2019! Use code CRAWLSPACE19 for 10% off your admission. 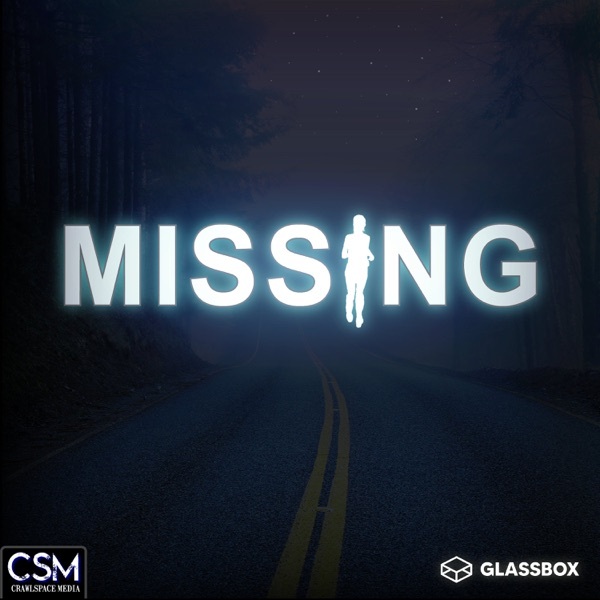 Music for Missing Maura Murray is produced by Kevin MacLeod and David Williams. Tim Pilleri and Lance Reenstierna chat with an old co-worker of Maura's from the art gallery. Tim Pilleri and Lance Reenstierna continue their deep dive into Maura Murray's disappearance as they host Robert Lynch in studio to discuss Maura's case and the online community. Tim Pilleri and Lance Reenstierna chat with old friend Clint Harting about Maura Murray's disappearance, and the recent developments. Go to Madison-Reed.com and use promo code Missing Maura to get 10% off plus free shipping on their first Color Kit! Tim Pilleri and Lance Reenstierna host in studio guest Scott Wahl. Scott runs one of the Murray family Facebook pages. They discuss the new lead, the 15 year anniversary, and more. Check out Lorena on Amazon Prime Video! Tim Pilleri and Lance Reenstierna memorialize the 15 year anniversary of Maura Murray's disappearance by going over Billy Jensen's 2014 article called Will the Internet Find Missing UMass Student Maura Murray, read some recent emails, and play a couple of clips from last year's vigil with Julie and Kurtis Murray. Tim Pilleri and Lance Reenstierna chat with Maggie Freleng (Oxygen's The Disappearance of Maura Murray) about a new lead that has surfaced, and more. TRULY DEVIOUS is available now, and THE VANISHING STAIR is available January 22nd wherever books and audiobooks are sold! Get started NOW at Stitch Fix.com/MMM and you'll get an extra 25% off when you keep all 5 items in your box! Listen and subscribe to Josie and Jonny Are Having A Baby With You in your podcast app right now! Check out First Day Back in your podcast app now, and subscribe so you won’t miss an episode! Tim Pilleri and Lance Reenstierna converse with Jordan Bonaparte of the Night Time Podcast about Maura Murray and Emma Fillipoff's disappearances, and what it's like to report on them. Tim Pilleri and Lance Reenstierna talk with Marissa Jones of the popular true crime podcast The Vanished about Maura Murray's disappearance and more. Get started NOW at StitchFix.com/MMM and you'll get an extra 25% off when you keep all 5 items in your box! Go to GetQUIP.com/MissingMaura and get your first refill pack for FREE with a quip electric toothbrush. Download the Poshmark app, sign up, and enter the code MISSINGMAURA for $5 off your first purchase. Check out the excellent new podcast Mind's Eye from Parcast! What if your worst nightmare was real? In Mind’s Eye, the first fiction podcast from the Parcast Network, Homicide Detective Kate McClay is having horrifying dreams. The only thing that can stop it? Catching a serial killer. Mind’s Eye is brought to you from Parcast, the storytelling team behind hit shows like Serial Killers, Cults and Unsolved Murders: True Crime Stories. Tim Pilleri and Lance Reenstierna talk with former FBI Profiler Jim Clemente about Maura's disappearance. Go to THIRD LOVE dot com slash MMM now to find your perfect-fitting bra, and get 15% off your first purchase. Tim and Lance talk to dog handler Deb Ash, and Travis Day who helped on the recent New Hampshire search. Go to Ziprecruiter.com/mmm to post your job for free! Go to Madison-Reed.com and use promo code MissingMaura for 10% off and free shipping on their first color kit! In this episode Lance Reenstierna and Tim Pilleri talk with investigative journalist Maggie Freleng about what was accomplished during the latest search. The guys also read some youtube comments and respond to some emails. In this episode Lance Reenstierna & Tim Pilleri talk with Maura's half brother, Kurtis Murray. Go to www.thirdlove.com/mmm for 15% off your first bra. Hey everybody, just checking in with some quick announcements. New episode tomorrow Oct 30th!